Contract Inspection - Gear and Spline Inspection - Precision Gage Co.
We know that proper inspection of your parts is vital. At Precision Gage Company, we provide the best tools, instruments, and services available for effective inspections. Precision Gage Company has the right equipment, environment, and people to perform inspections to your exacting requirements. 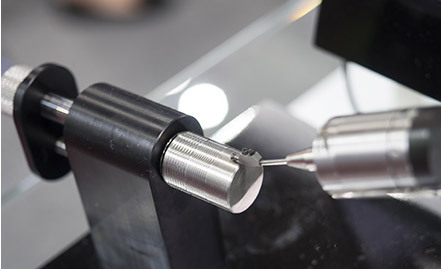 We know that choosing the proper tools for the job means understanding both your tolerances and the degree accuracy the measurement tools can provide. We have all the tools for surface plate layouts, and we have a Zeiss CMM with full scanning capabilities, so you can be assured that your parts can be measured at Precision Gage Company, quickly and cost-effectively. 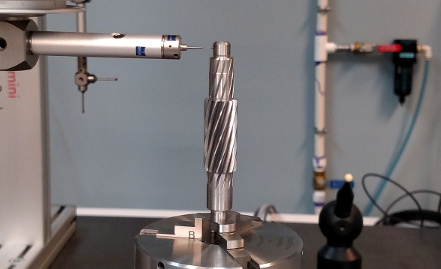 Precision Gage is uniquely qualified to inspect your gears and splines. From analytical inspection on our CMM, to Dual Flank Composite inspections on our Vari-Rolls, we provide the measurement results you need to make effective quality decisions. If your specifications are incomplete, we also have the experience and the tools to fill in the gaps and ensure that all of the bases are covered.